Disclosure: I received sample products to review. No compensation was received and all views expressed are my own. I bought my first "nice" digital SLR camera almost five years ago. Back then, my blog was just a hobby - but I was going on a trip to Disney World and figured it would be a handy item to have on hand. Since then, I have been thankful countless times for that purchase! 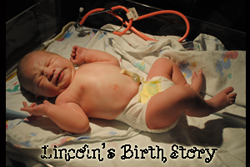 I had a nice camera when my kids were born, for pumpkin patch trips and holiday visits with family. And, of course, now that blogging is just a little bit more important in my life, it is very nice to have a camera that takes my photography to a higher level than I could achieve with a point-and-shoot. I've done a couple of photo shoots for friends in the last few years, but I'm not sure professional photographer is a title I feel comfortable adding to my list of talents yet. In spite of considering myself to be at a somewhat amateur level of photography, I've longed for some accessories to dress up my camera. I have attended a few blogger events where the number of large black camera is overwhelming, and you run the risk of picking up the wrong one without some sort of identifying feature! Not to mention, as a mom, I'm often on the run - and having a brightly-colored identifier makes me a lot less likely to leave my camera and the precious memories it contains behind at the zoo, park, or aquarium. All of that to say - whether you are a professional in the photography business or have a hard-to-buy for mom friend or sister-in-law who is toting around a heavy camera all the time, I found the perfect gift for you to give this holiday season! 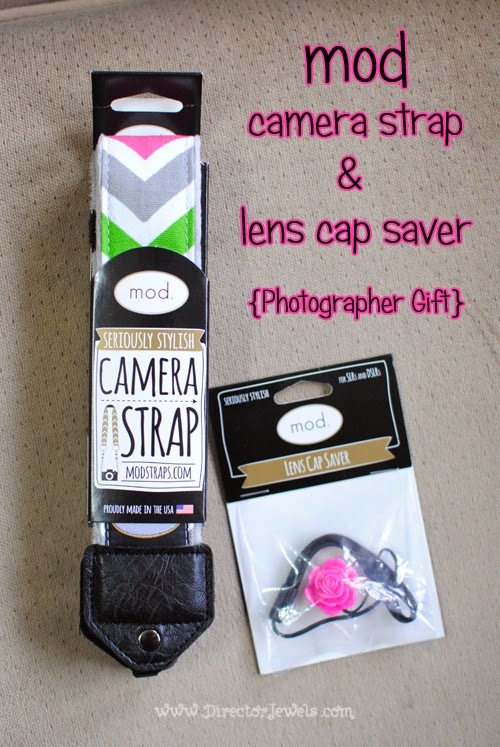 My new camera strap and lens cap saver from mod. have made my photography life so much more fun! mod. offers a huge variety of camera straps to choose from - my guess is that you'll have a hard time deciding which one best fits your style! 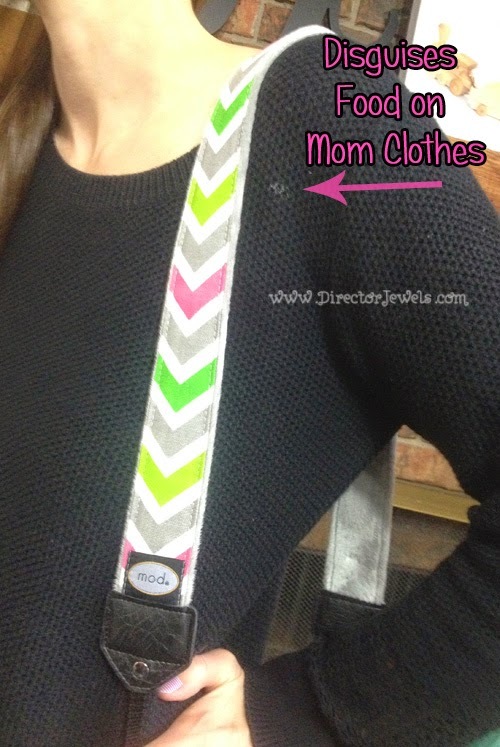 I'm a bit of a chevron maniac, so this Cheerful Zig Premium Strap is perfect for me. It features a 33" decorative fabric strap, but the full adjustable length is 42"-48"! It's a little bit longer than the strap that came with my camera, so that took me a little bit to get used to - but really, I love having the extra length. Each premium strap features high grade synthetic leather ends, is backed with durable webbing, and has been tested to withstand pull down weight up to 70lbs. There are matching accessories available for each design (think laptop sleeves, camera pouches, and accessory bags), so you can even find a style that suits your photography brand and maintain the same chic look for multiple devices. A premium strap like mine has a $49.50 price point, but if that is out of your budget range, there are options starting at just $20.95. 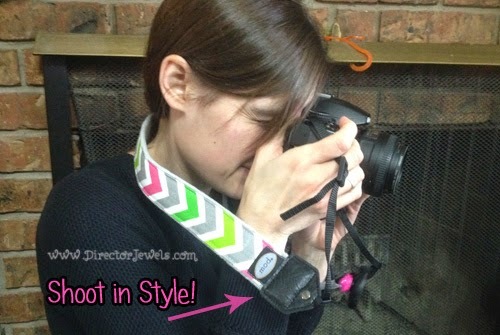 There is something about having a colorful, peppy camera strap that makes me more excited about taking photos - and I feel a little bit more like a professional when I take my camera to events now! 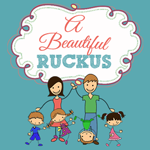 When you're a mom, your needs are often met last in the family lineup...things like new clothes (or even clean clothes if you have babies and toddlers) might be a luxury, but a pretty accessory makes a big difference! I don't have time for much makeup or jewelry these days, and my camera is almost always in my bag! I'm equally excited about my Hot Pink Pop Flower Lens Cap Saver. I cannot even begin to tell you how many times I have lost my camera lens cap. I've wasted probably several hours of my life digging around in my bags, looking under couches, and begging my children to confess where they stashed these small black plastic pieces. And now, those days are done! I no longer have to worry about the location of my cap, because it is securely attached to my lens via an elastic band. And it's super cute! mod. offers free shipping on orders over $75 or $4.99 flat-rate shipping on most US orders - plus there's no tax (unless you live in Texas). 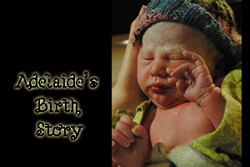 The brand was created in 2009 and is now sold in over 700 camera stores, boutiques, and retail locations. You can find out more about mod. on the web, or follow along for the latest updates on Facebook, Twitter, Pinterest, and Instagram. Disclosure: I received sample products to review. No compensation was received and all views expressed are my own. For more info, you can view my Disclosure Policy. I like your sense of humor! If I had a camera I would pick one just like this, I never knew that a lens cap could be stylish ether. Nice review. Haha, thanks! The cap saver has already saved me so much trouble...I love it! Those are so cute and fun looking. They would look chic with my camera. thanks for sharing. This is a wonderful idea for those who already have cameras. It appears to be of good quality. They really are great quality! Omg totally love the camera strap!!! The colors and print rock!! 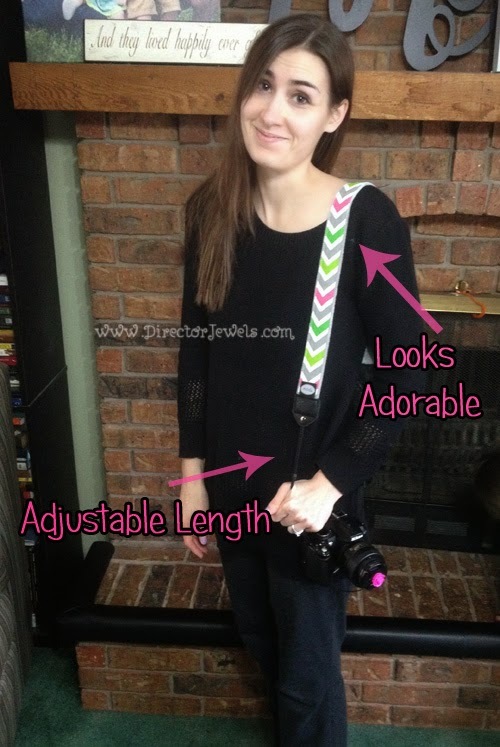 This camera strap is so cute. 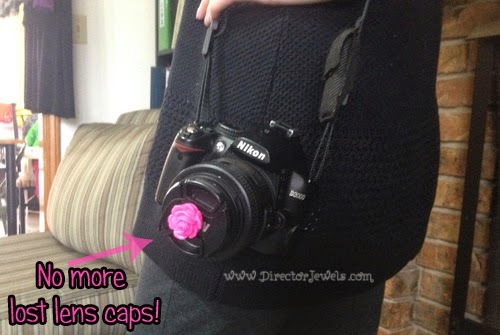 And I love the lens cap saver idea, since I can NEVER find my lens cap. 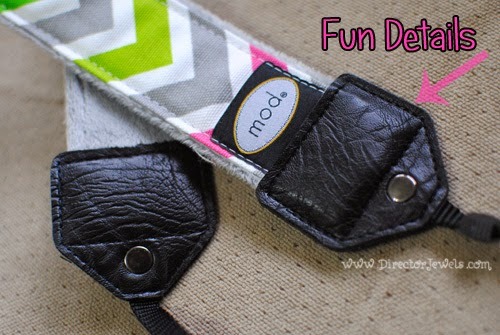 Since I've been in the market for a camera strap (Canon's factory strap hurts my neck), I might have to look into Mod! I love this strap. I just bought my first camera. I will have to get these. This would make a great gift for any photographer. I love the lens cap, it's so cute! I bought a whole bunch of lens caps bc that's always the first thing to get lost. haha i do find when it's attached kind of annoying though.. so a lot of times i just let my lens get really dirty and clean it up after. I thought it would annoy me too, but it really hasn't yet! I have a beautifully designed, yet sturdy camera strap. However, I'm in dire need of a lens cap saver. In fact, I recently "lost" a lens cap. Thankfully, my husband found it between the sofa cushions. 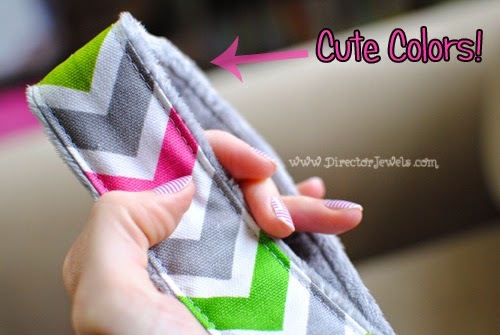 This is so cute and would really come in handy for me, I dont even have a camera bag just camera so this would be a good investment since I am always forgetting my things. I never remember to put my camera in my expensive camera bag....! I agree, the color brings the beauty of the chord. This is a good gift idea. It's inexpensive but something they can appreciate!